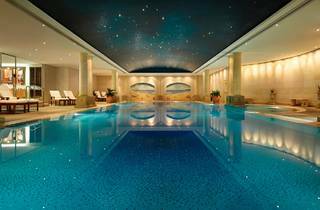 The Day Spa at the Langham Hotel, formerly known as the Observatory Day Spa Sydney, is the place to go if you want to play kings and queens for a day. Not just for hotel guests, the spa and fitness facilities can be used by anyone who fancies indulging in a casual afternoon swim, steam and sauna at $45 per person. 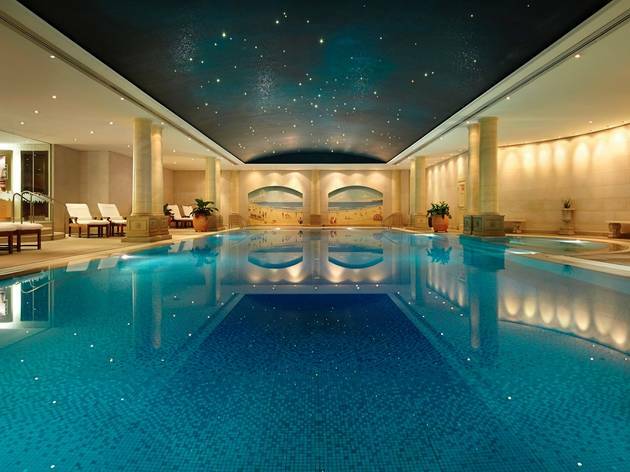 The wow-factor here is the 20-metre indoor pool. Gently heated and surrounded by a sandstone and marble lounging area, it has a dark, twinkling night sky overhead and a beautiful mural of what looks like Bondi Beach in the 1920s on the far wall. There’s a heated whirlpool that wraps around the far wall, which attracts those looking to completely chill out before or after a spa treatment in one of the spa’s many private rooms. The Day Spa’s signature treatment is the Babor Facial (60 minutes, $190). Professional therapists conduct a personal assessment of your face before tailoring a treatment to clean, exfoliate and soothe the skin using the luxury German product. 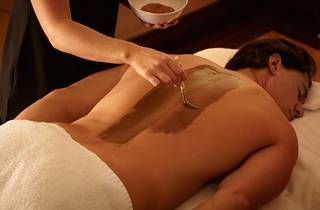 The Spa also offers an extensive range of relaxation massages; our favourite is the Perfect Gold Massage ($175-$200), which leaves every inch of your body covered in cream containing 24c-gold particles – pure indulgence.